A town of renaissance and tradition. In addition to the cultural heritage you can also enjoy a number of events such as knight games and harmony-singing group performances, or you can take part in splendid religious processions. People of Korčula love to enjoy their traditional culinary specialties and excellent local wines. The island of Korcula, the ancient Greeks called Korkyra Melaina and in Roman times it was known as Corcyra Nigra or Black Korcula. Name was given by the lush vegetation of underbrush and pine forests that once covered the entire island . 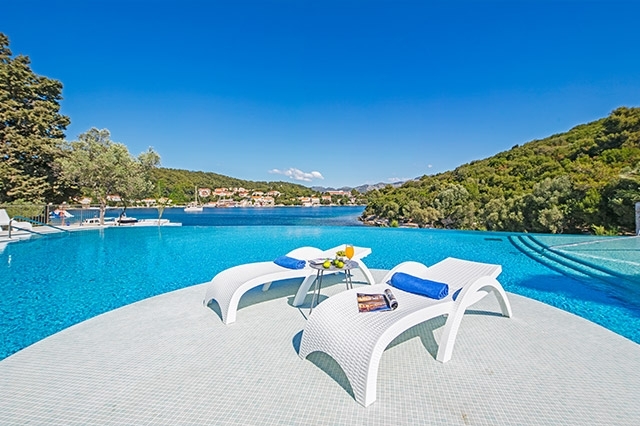 Broad panoramic views, mild Mediterranean climate, clean sea, interesting cultural heritage, various sports, recreational and entertainment facilities and warm-hearted and hospitable people make the island of Korcula, an attractive tourist destination . The three largest settlements on the island of Korcula are Vela Luka in the west of the island, Blato in the middle of the island and town Korcula on the East. Other places are Lumbarda, Pupnat, Žrnovo, Čara, Smokvica Račišće.